Quick said that she and Williams plan to meet, this week if possible, with Rep. Randy Nix, chair of the House Committee on Legislative and Congressional Reapportionment, to discuss the legislation. The draft legislation, which Quick shared with me yesterday, makes only minor changes in the overall composition of the 117th and the 119th districts. 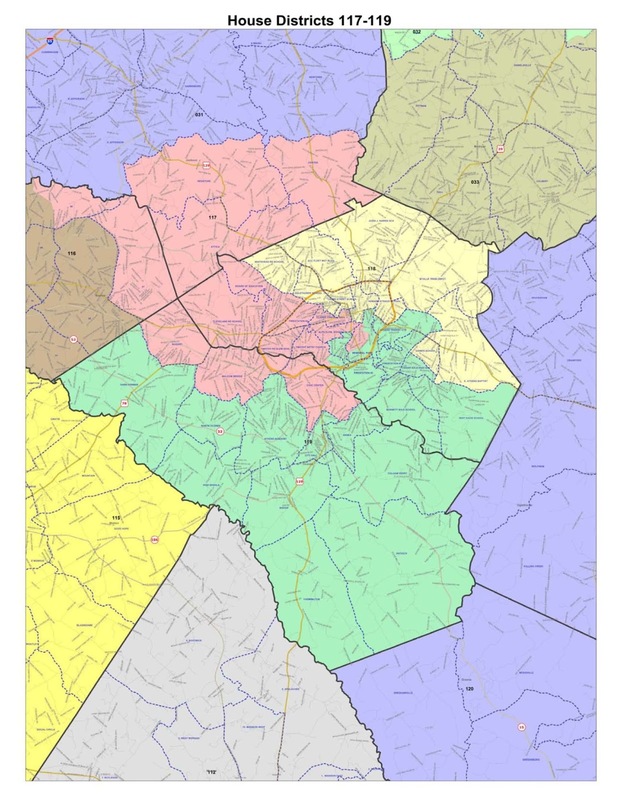 In Athens-Clarke County, Precinct 7C (Fire Station #3) would be moved from the 119th District to the 117th District. Precinct 7A (Timothy Baptist Church), currently split between the two districts, would become whole in the new 117th. In Oconee County, the precincts of Athens Academy, Bogart and Malcom Bridge would be moved from the 117th to the 119th. No changes would be made in the parts of the 117th District falling in Barrow and Jackson counties. The draft legislation does not include maps, but I compared the language of the draft legislation, which identifies precincts and parts of precincts, with the legislation passed to create the current districts. Quick stressed in an email message she sent me yesterday that the draft legislation has not yet been submitted to the House for consideration. Quick said the Reapportionment Committee had an organizational meeting last week and that she alerted the Committee to her desire to introduce legislation to change the composition of the 117th and 119th House districts. She said she gave the Committee a copy of the resolution passed by the Oconee County Board of Commissioners on Nov. 27 asking that the three precincts separated from the rest of the county in the 2011 special session of the legislature be reunited with the remainder of the county and that all of the county be in a single district. Chairman Nix, from LaGrange, indicated at that time, Quick told me in our telephone conversation on Thursday morning, that he was not sure the Committee would handle any reapportionment legislation this session. The Georgia House reapportioned itself in a special session in August of 2011, using the newly released 2010 Census data. At that time, Doug McKillip was representing the old 115th House District, which fell entirely in Clarke County, and Williams had just been elected to the old 113th District, which included all of Oconee County, as well as parts of Clarke, Morgan and Oglethorpe counties. McKillip had been elected as a Democrat and was facing his first election as a Republican in a district that historically had voted Democratic. Athens-Clarke County made up the largest part of the new 117th and became just slightly dominant in terms of population in the new 119th. Because of low rates of registration in Clarke County, particularly among students, and high registration and turnout in Oconee County, Oconee County so far has dominated the 119th. Williams, a Republican, is a businessman from Oconee County. Quick, an Athens attorney, challenged McKillip, also an Athens attorney, in the July Republican primary last year. Quick defeated McKillip because of strong support in the Athens-Clarke County part of the district. Quick had promised during the campaign to seek to change the composition of the district if elected to make Oconee County whole again in a single district. She requested that Legislative Counsel draft the legislation to change the two House districts. Quick faced no Democratic opposition in the November election.